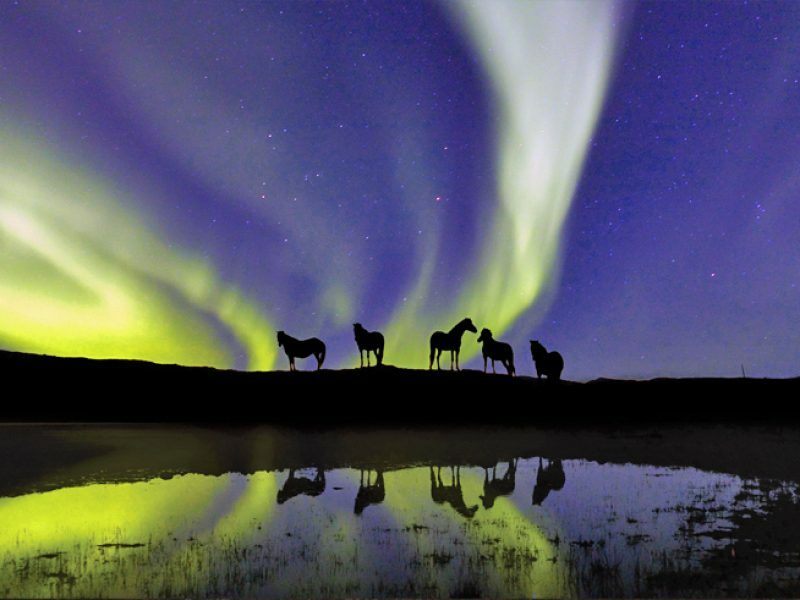 Sitting just below the Arctic Circle, and perfectly placed within the auroral oval, Iceland offers visitors a very real prospect of witnessing the northern lights when travelling during the winter months. For many, a sighting of these mesmerising lights is a dream come true, but as any aurora hunter will tell you, there are no guarantees. It is for this reason that we’ve put together a list of our favourite ways to maximise your chances of seeing the northern lights, whilst making the most of your time away… regardless of nature’s cosmic whims. Experience two of Iceland’s most remarkable natural features on this escorted short break. 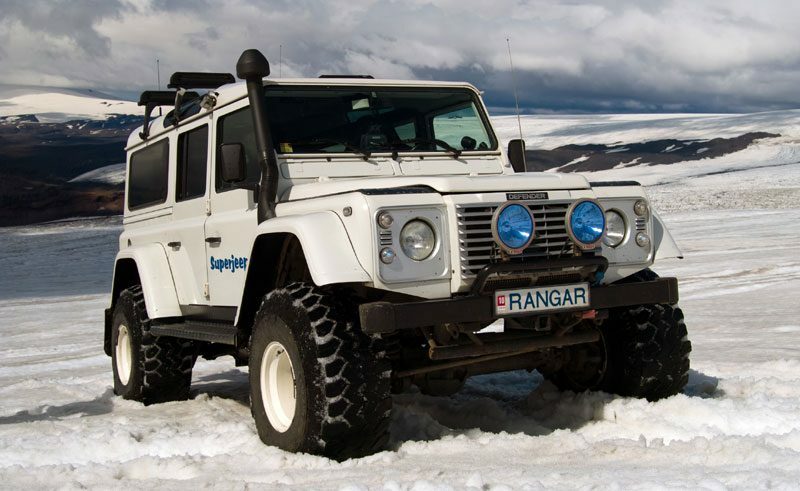 In the company of an expert driver/guide head out on day excursions to explore the interior by 8WD, reaching areas no other vehicle can access and visiting spectacular sites such as Eyjafjallajokull, the site of the infamous 2010 volcanic eruption as well as the Golden Circle. Staying a highland location, you’ll also have ample chances to spot the northern lights. 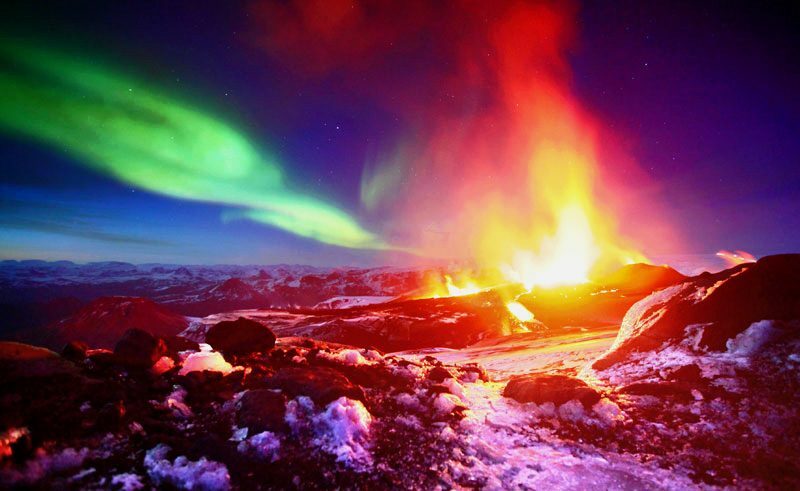 Find out more: See all this and more on our Volcanoes and Northern Lights holiday. Discover Iceland’s wilder side by Superjeep, escorted by an experienced driver/guide. These specially-adapted, go-anywhere vehicles are an Icelandic obsession, boasting up to 48″ tyres. Explore the southern countryside – home to rugged wilderness and open plains that are perfect to demonstrate the capability of these vehicles. Staying in a countryside hotel or mountain hut, keep watch for the aurora at night. Find out more: Experience a superjeep on our thrilling Superjeep weekend Safari holiday. Not just for whale enthusiasts, this superb holiday is based on the dramatic Snaefellsnes Peninsula. In the company of our award-winning guides, experience the country’s natural wonders both on land and at see as well as learning about its fascinating history and culture. Your rural location is the ideal for aurora viewing, should they appear. 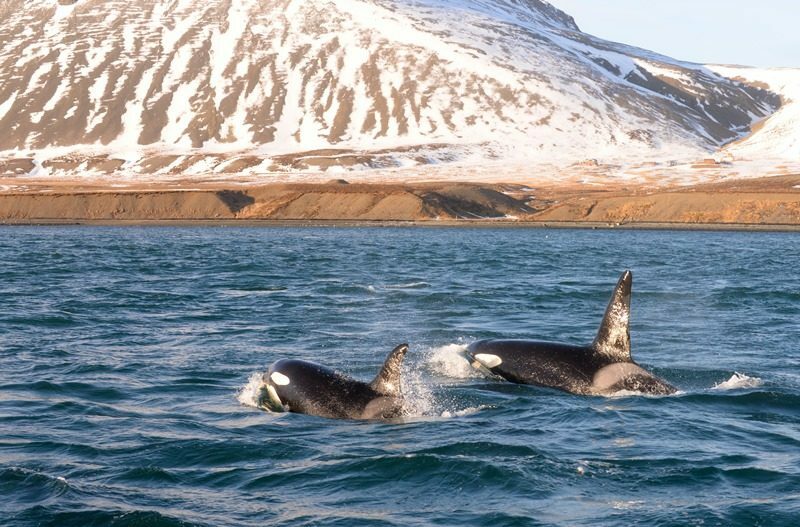 Find out more: Go in search of orcas on our Orcas and Aurora escorted small group tour. 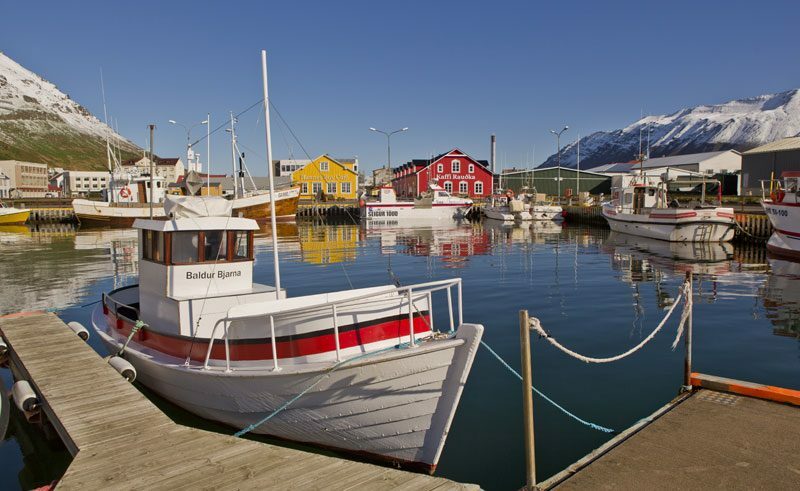 In Iceland’s north lies the sleepy fishing town of Siglufjordur – home to the recently renovated Siglo Hotel. A charming retreat filled with local charm and a peaceful atmosphere, this is a sublime location for when the northern lights appear. Whether you’re on your private balcony, or sitting by the waterfront – watching the lights fall over the landscape is a real treat. Find out more: Find out more about Siglo Hotel. Welcome the New Year in style, combining a stay in Iceland’s southern countryside with time in the capital. With vast open skies, this is the perfect place to enjoy the northern lights in absolute comfort. 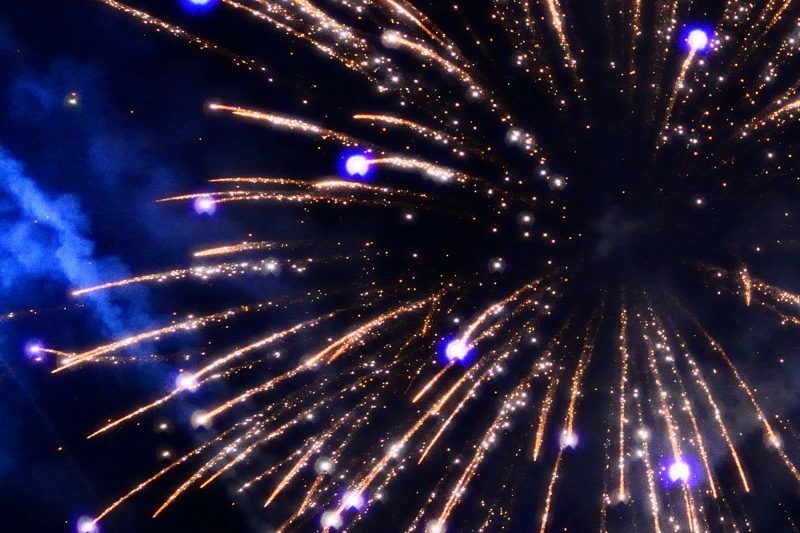 Enjoy a spectacular fireworks display as a four-course dinner is served on board a cruise from Reykjavik. Find out more: Celebrate the New Year on our Northern Lights New Year Special. A thrilling combination of fire and ice, discover the very best of Iceland’s south, then head to Sweden’s capital to take in the culture and cuisine. 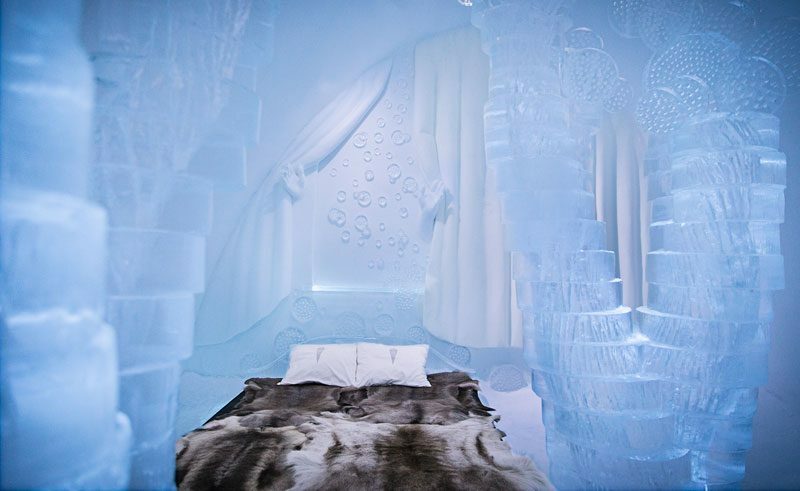 Your final stop will be at the incredible Icehotel. Look out for the thrilling northern lights display in the evening, before going to sleep on a bed made of pure ice. And, in the morning, why not take part in an array of winter activities in the snowy surrounds. Find out more: Combine Iceland with the Icehotel on our Iceland and the Icehotel holiday. Enquire online or speak to one of our Travel Specialists for help with planning your northern lights adventure. Spring – with its longer hours of daylight and warmer temperatures – isn't far away and as the aurora’s still in the sky, February and March are a great time to travel to see the northern lights. Turn protons into pixels with William Gray's enlightening guide to snapping the aurora borealis.